Some places hold the memories of North Omaha’s past more eloquently than others. While some of North Omaha transitioned from country estates to suburban bliss, from commuter haven to neglected hood, one building has stood steady in the community throughout almost everything. It’s called The Sherman. This is an 1897 ad for The Sherman apartments describing the attributes of the building. Before 1900, Sherman Avenue was a country road leading to the estates that lined the cliffs on the east side of the street. Large mansions sat on wide grounds built by wealthy businessmen who worked downtown. However, despite all this fanciness, it only took one building to transform this serene country life into a suburban dreamland, and later an urban reality. After this building was constructed, a dozen other apartments were built up and down the street; grocery stores, pharmacies, movie theaters and streetcar tracks were put into place. This building was The Sherman, a fine post-Victorian outpost that set the pace for North Omaha’s future. Built in 1897, The Sherman was designed by Frederick A. Henninger (1865-1944) in the Neo-Classical Revival style and was constructed by local builder Gustave Peterson (1863-1938). George H. Payne (1864-1937) developed it for the Eastern Fidelity Trust Company, an investment firm. Payne, a successful real estate developer throughout Omaha, chose the site because of its proximity to the 1898 Trans-Mississippi Expo. Located on two streetcar lines, the Sherman is unique in Omaha today, and is credited with being one of the first apartment buildings in the city. Named for the street where it sat—North 16th was called Sherman Avenue for several decades—the building was constructed with 12 apartments that had six rooms apiece, with hallways, bathrooms, large storage rooms, closets, marble washstands, oak floors and finishes, and a large front porch for each home. The three-story building had a large basement, too, with two large laundries, steam drying rooms and bicycle storage rooms. There was steam heat throughout the building, along with gas stoves, electric lights, electric doorbells, speaking tubes, and a telephone in the building. It was built at Sherman Avenue and Madison Street, now called Cady Avenue, and it was home doctors, lawyers, bankers, unmarried executives, and single women who had good paying jobs. Designed to remind Omahans of classical Greek and Roman buildings, there are columned porches holding up porticos that have triangular pediments at the top. There are two of these features on the north and south ends of the west side of the building. The apartment was built on Lots 28, 29, 30 and 31 in the Washington Square addition. The site was chosen for its proximity to the Expo grounds, as well as its availability. Sitting at the end of Lake Street, it was a great location. This 1940s era photo shows The Sherman along N. 16th Street. Notice its dark exterior? It looked like that into the early 1980s. According to an 1898 account, The Sherman was an immediate success for its investors, with every apartment rented six months before the it was finished being constructed. Initially, each apartment rented for $55 a month, and the building was managed by the Sherman Apartment Company. For several decades after it was built, The Sherman was treated as an exclusive residence that rented for top dollar. Society events were held there, the upper crust lived there, and it was a regal address to have. An interesting side note is that even thought all indications were that the building was constructed only to be apartments, it was referred to as the Sherman Hotel in 1898. Alternately, it was also called the Sherman Flats from 1898 to 1914. Construction of The Sherman made the area “ultra fashionable,” and led to the development of North 16th Street as a wealthy apartment row. After it was built in 1897, several others were constructed, including The Majestic in 1906; The Strehlow Terrace built between 1906 and 1916; Ivy Apartments in 1910; The Margaret, built in 1915; the Bretnor Court and Rosewell Court apartments in 1924; and the Fairfax Apartments at 2407 North 16th. The Sherman was sold by Payne Investments Inc. in 1906 for $50,000. William Haney was a part-owner of the building in 1910. By 1915, the building had a private garage for each apartment, too. By 1925, J. Warren Hahne had owned the apartments. Hahne confessed to murdering his wife, and was found insane when he committed the crime. Long recognized for its role in developing Omaha, in 1929 the Omaha World-Herald featured the apartment in a history of multi-family houses in the city. They cited the 32-year-old building as leading all others of its style, influencing developers and residents who sought for more than a brick duplex or tiny flat above a store. These are The Sherman apartments at 2501 N. 16th St. in 1924. In 1931, the longtime janitor of the apartments was killed after being hit by two cars outside the building. Fred Schaffer, 63, had worked there for 12 years. There were a lot of cases of residents getting hit getting on and off streetcars along North 16th, as well as average deaths, awards and other recognitions by the Omaha World-Herald.One of the first women to run for county-level office lived at The Sherman. Katherine Tully ran for Douglas County Commissioner in 1944. In 1975, an 18-month-old child named Jennifer Darrough died after she was ran over by her father accidentally in the parking lot of the apartments. In the 1950s, two apartments were built in the basement, bringing the building’s total to 14 apartments. The outside of the building is covered in brick, which was painted white in the 1990s. By that point, there was another apartment in the basement and the building’s total was 15 apartments. The Sherman was an investment property from the outset, built and intended to make profit for the owners. That formula was successful for more than 50 years, then faltered. Here are some details about the ownership of the building. The Payne Investment Company sold the building to an unknown buyer in 1906. That year, Vaclav F. Kuncl, a businessman who owned several properties around the city, owned the building. Mrs. Barnum L. Gerber owned the building before 1952. That year, William Weiner bought the building for $46,000. In 1955, the building was put up for sale for $55,000. Katherine “Rusty” Turner was the longest owner of The Sherman, and from all accounts, she worked harder than any other person in the history of the building to keep it intact, vibrant and sustained. She owned the building twice. The first time was in the 1960s, when she bought the property in terrible condition, fixed it up and sold it as an investment in 1969. However, it fell apart again and she repossessed it in 1975. Fixing it up again, Turner kept ownership and maintained the building for over 40 years. According to a feature in the newspaper, she was a hands-on landlord, traveling from her home in Washington state to Omaha to live in the apartments for several months every year. She painted, did restoration work, and was hands-on in all elements of building maintenance and management. She frequently rented to seniors, establishing a large family of residents and harboring goodwill with most of her tenants. This is a recent picture of The Sherman, located on North 16th at Cady Street. For more than a century, this building has been a distinct landmark in the area around it. It was one of the original apartment buildings in Omaha; its the oldest one still standing; it was a hallmark of prosperity through the Roaring ’20s and beyond; it was an island in the middle of decay and despair. Today, its story is being rewritten, and a reflection of that reality is that The Sherman was sold in May 2018 for $575,000. There are a lot of historic properties surrounding The Sherman right now, including The Margaret Apartments at 2103 North 16th and Chambers Court at 2014 North 16th, both listed on the National Register of Historic Places. They are joined on the Register by a building called the Apartments at 2514 North 16th built in 1929. The Strehlow Terrace Garage at 2107 North 16th was built in 1909. Immediately south of The Sherman is the former Safeway Number 611 at 2465 North 16th, built in 1941, and north one block are the Bretnor Court and Rosewell Court apartments at 2536 North 16th. The site of the Storz Brewery is a few blocks south, along with the site of the Alvin Saunders mansion and the site of the A.J. Poppleton mansion. The 16th and Locust Historic District, including the historic State Bar, is just north. 1897—The Eastern Realty Corporation led by George H. Payne announces plans to build The Sherman. 1897—The Sherman was designed by architect Frederick Henninger. 1897—The Sherman was constructed by builder Gustave Peterson. 1898—The Trans-Mississippi and International Exposition was held immediately north of The Sherman. 1906—The Sherman was bought by Vaclav F. Kuncl for $50,000. 1915—The Sherman became handled by The Peters Trust. 19? ?—The Sherman was bought by Barnum L. Gerber for an undisclosed amount. 1952—The Sherman was bought by William Weiner for $46,000. 1955—The Sherman was bought by an unknown buyer. 1961—The Sherman was bought by Katherine “Rusty” Turner for $55,000. 1969—The Sherman was bought by an unknown buyer. 1975—The Sherman was repossessed by Katherine “Rusty” Turner. 1984—The Sherman was designated an official Omaha Landmark. 1986—The Sherman was listed on the The National Register of Historic Places. 2018—The Sherman was bought by Merle Vermuele for $550,000. This is a view of the east side of The Sherman. This is a fire insurance map of The Sherman apartments from 1901. Thanks to Debbie Peterson for her contribution to this article! Great article. I thank goodness every time I go by the Sherman. Rusty was an amazing lady with enough energy for 10 people. It is sickening to see beautiful homes and multi units destoryed so often. This beatiful testament to Omahas history is saved! Thanks for all the wonderful memories and photos posted. I loved living in Omaha. Thanks for the memories…. Let me know if there’s anything specific you’d like to read a history about Mary, and thanks for your support! 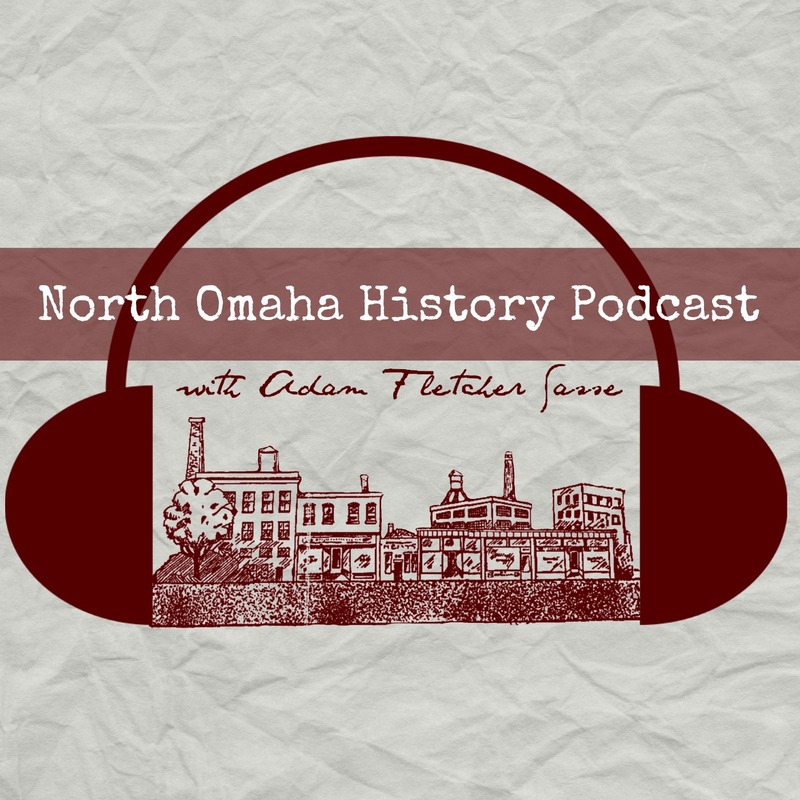 Adam, thank you again for another historical perspective on North Omaha.